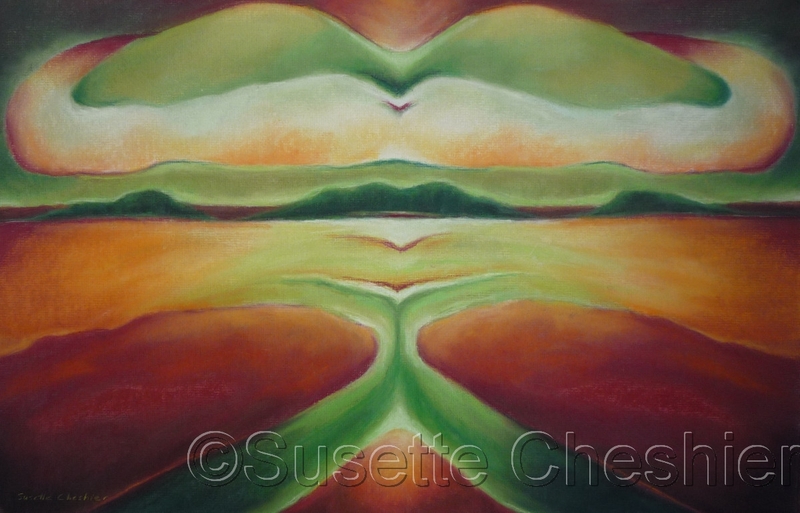 Abstract landscape in reds, oranges, yellows, greens, light greens, and dark green. Light creamy clouds hovers above central hills. 5" x 7.75"7" x 11"9" x 14"11" x 17"12.75" x 19.75"